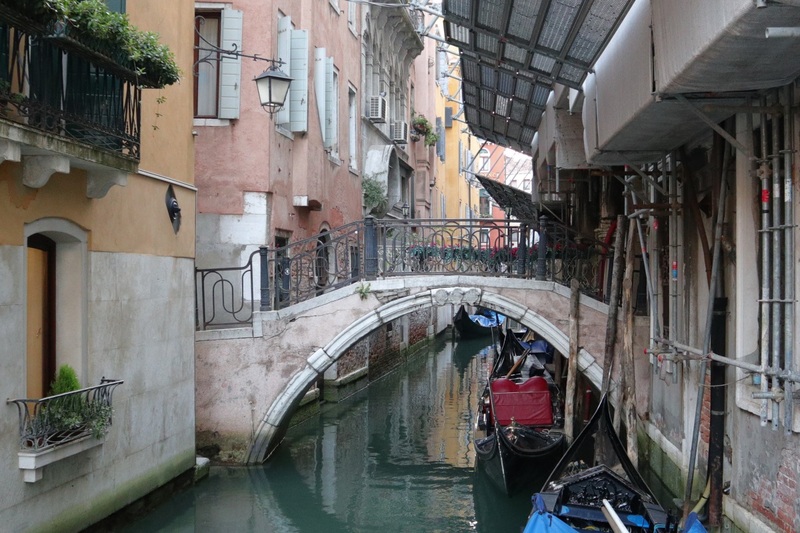 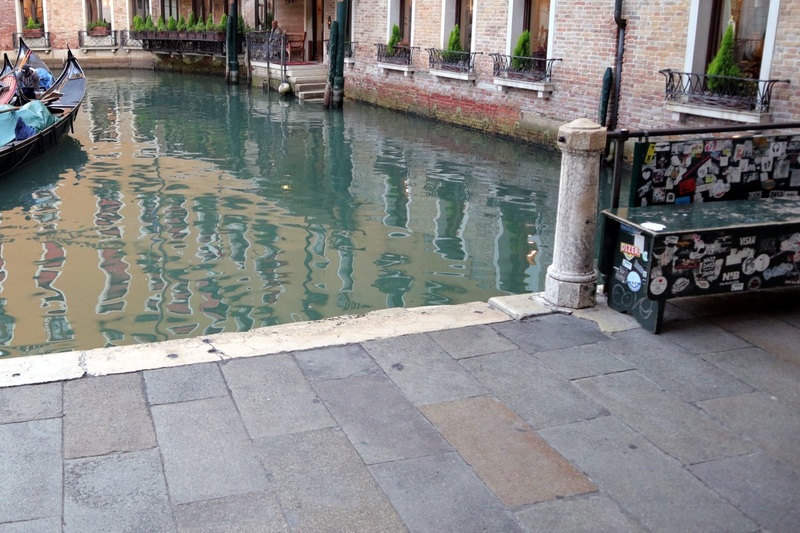 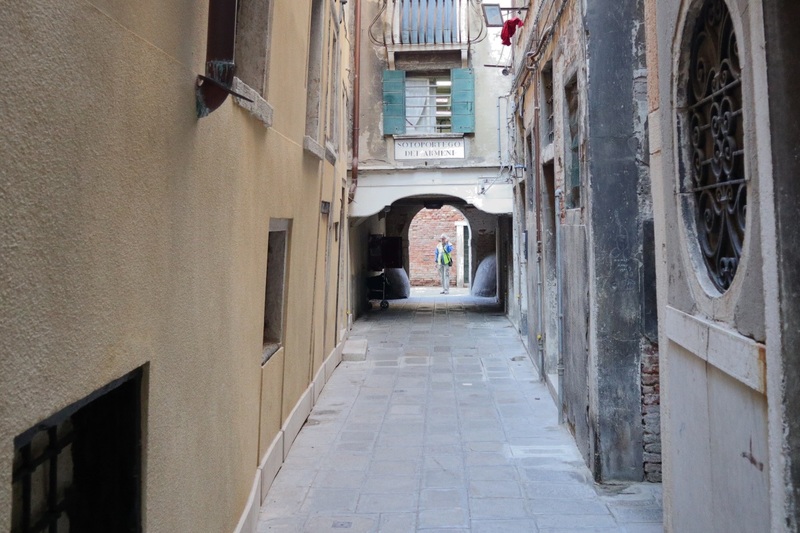 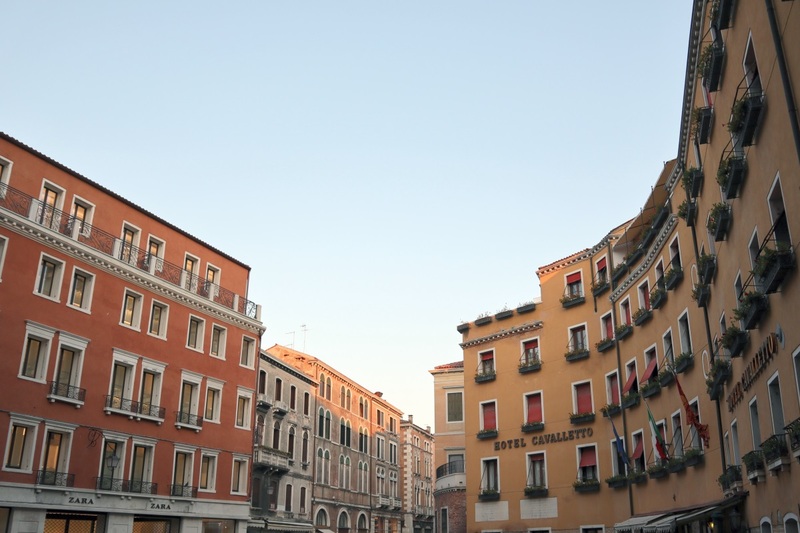 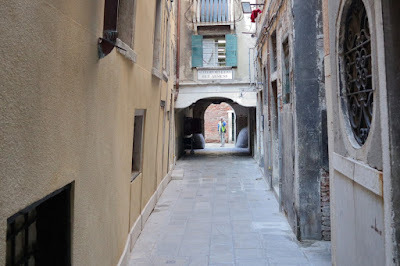 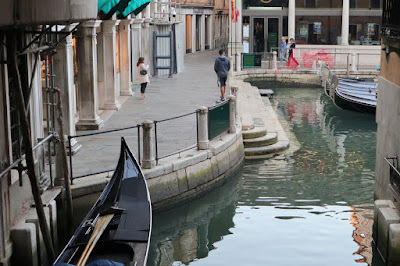 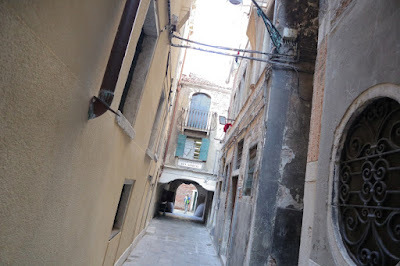 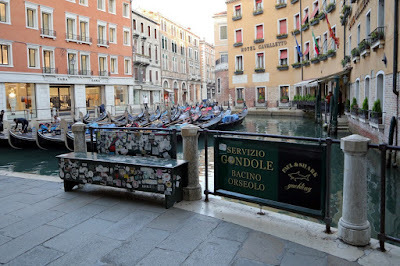 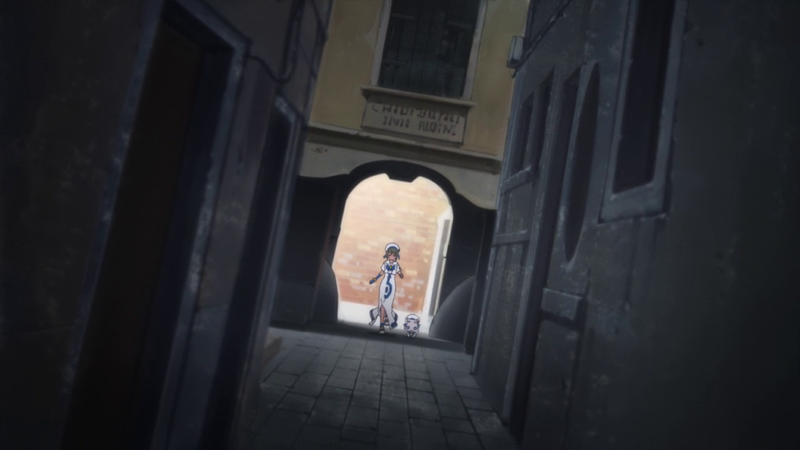 Just north of Saint Mark's Square is Bacino Orseolo, which has a gondola stop that's shown in Aria. Akatsuki waiting at the gondola stop. 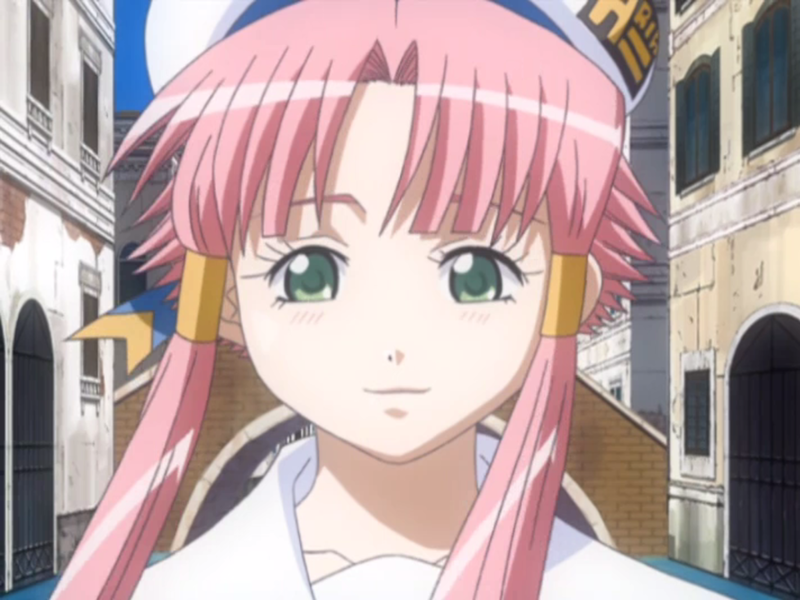 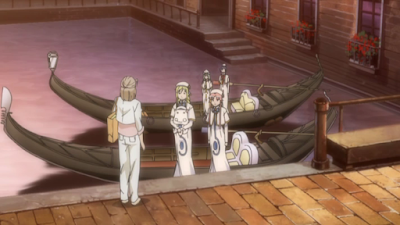 Akari arriving in her gondola. 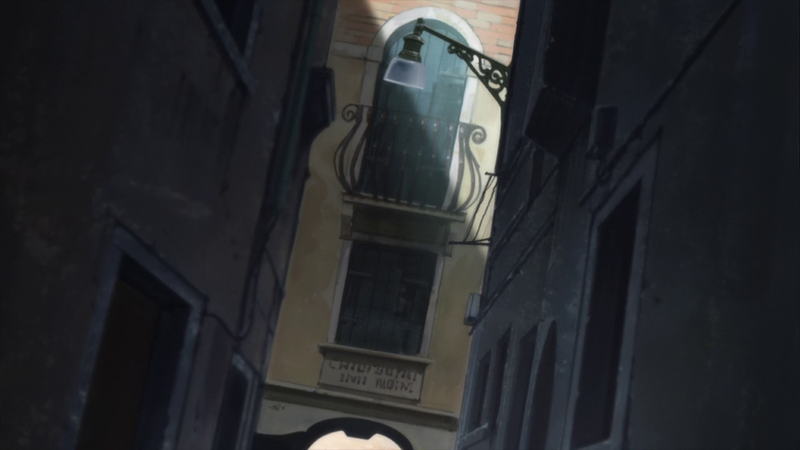 The bridge behind her doesn't seem to match in real life. 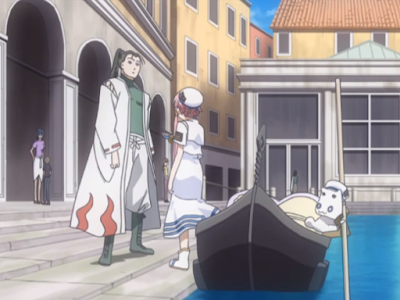 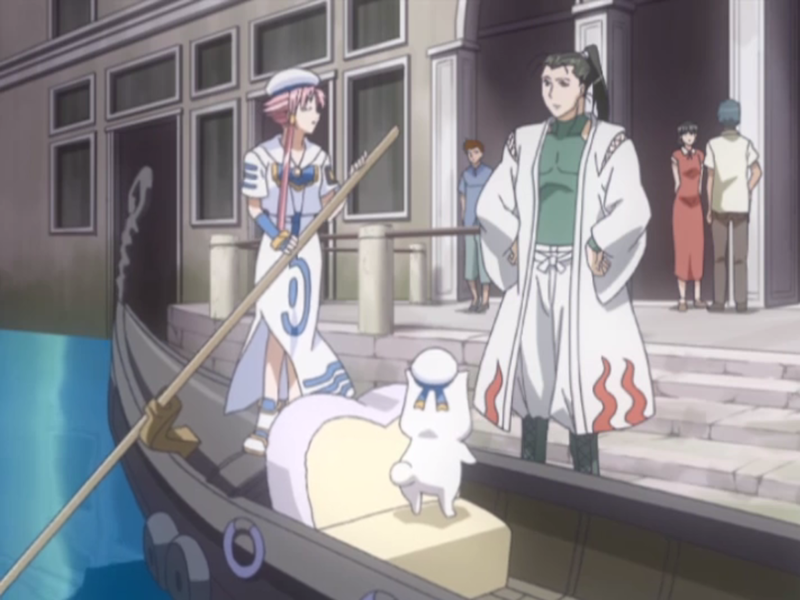 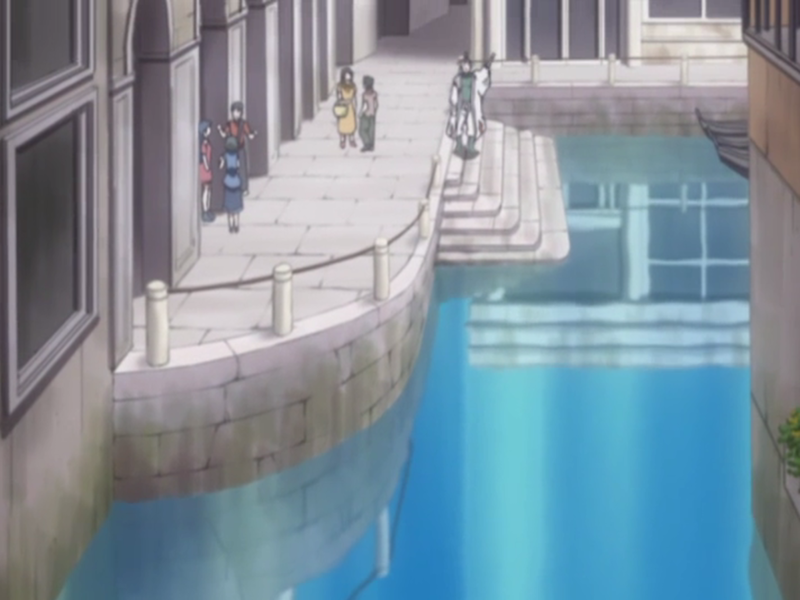 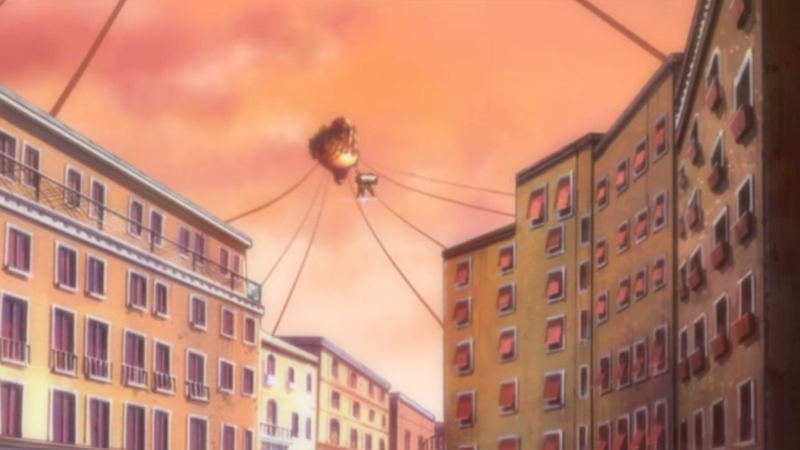 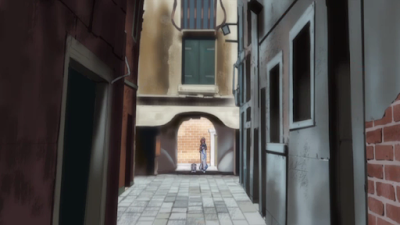 Akari wants Akatsuki to join her on a goodbye gondola tour. 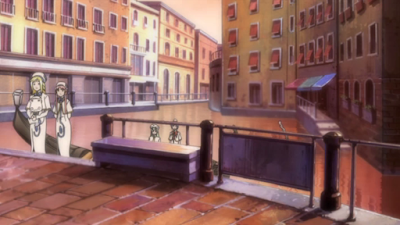 The building on the right here is a Hard Rock Cafe. 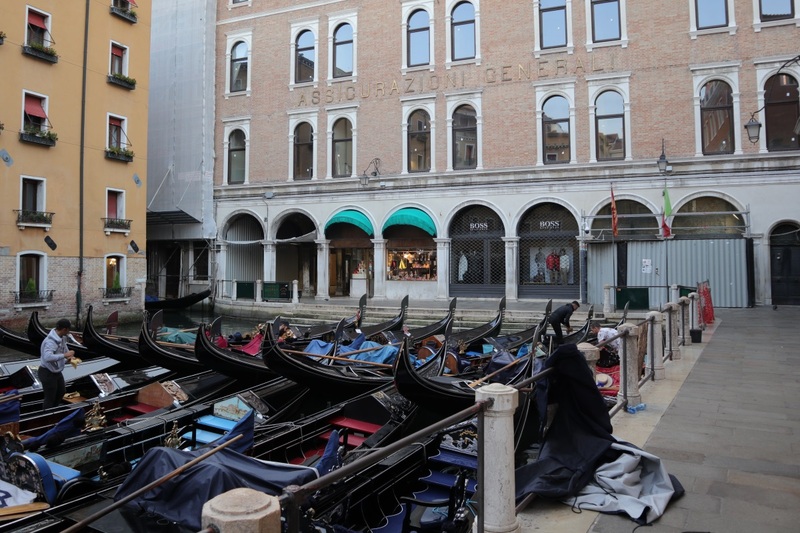 Lots of gondolas parked here in real life. Just like in the anime, this is where people get on and off gondolas. 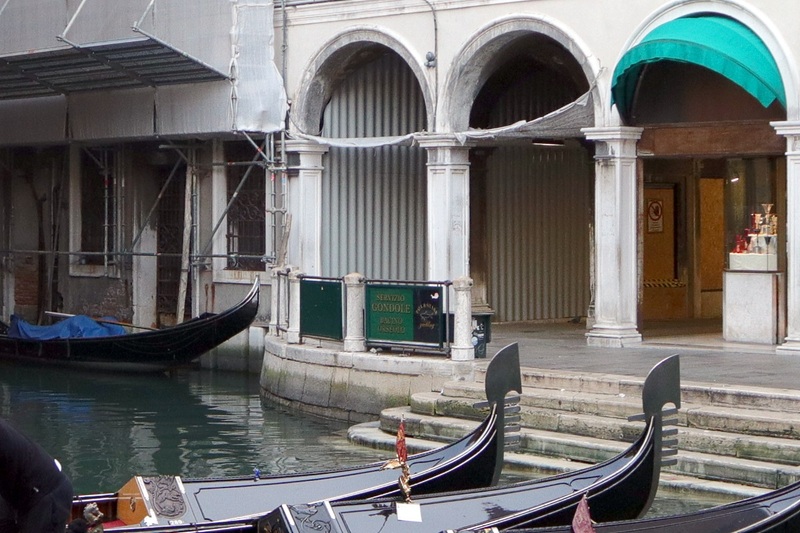 There's a gondola sign on the right in real life. No floating island in the sky of course. 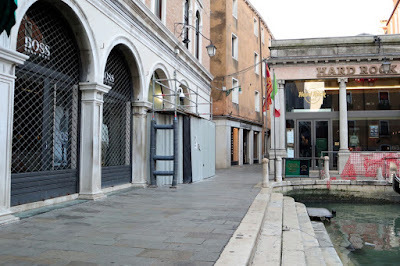 Close to Bacino Orseolo there's also this place which is shown in an episode of Origination. 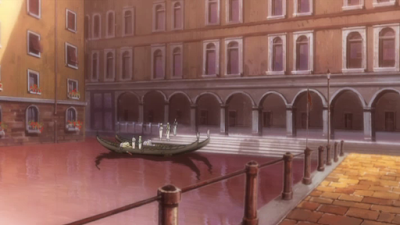 And also in an episode of Avvenire. 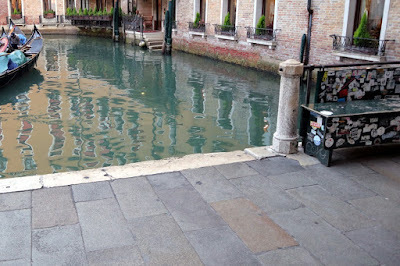 I've marked a path from the Hard Rock Cafe to this place in the map below.